So... 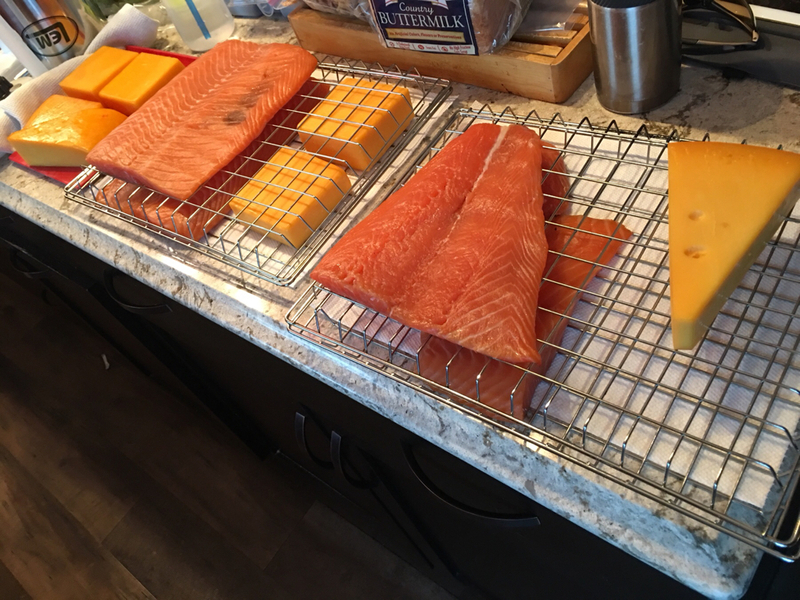 I'm planning to cold smoke some lox and cheese today. I've used the tricks to keep temps down in the past, but today the temp has topped out at 9F and is going down. No risk of hitting 90. But... Do I need to keep things above freezing? Thinking of turning the heating element on low to pull things into the 30's or 40's. My feeling is you can go too low. Smoke attaching to food is a chemical reaction. Like most chemical reactions, those reactions are better the warmer the temperature is. If it is too cold very little or no reaction will occur. 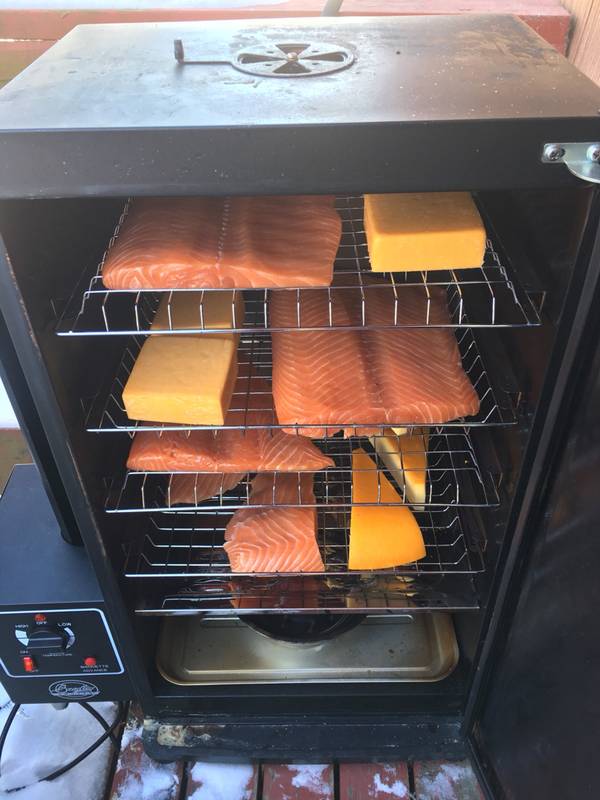 If you stay in the 30's to 40's range; you will get a mild smoke, or smoke much longer for more smoke flavor. I like to cold smoke between 70°F - 85°F. I agree cold smoke between 70°F - 85°F. Thanks! I ended up running the heat part way. Thermometer read about 50, but I'm not trusting it this cold. 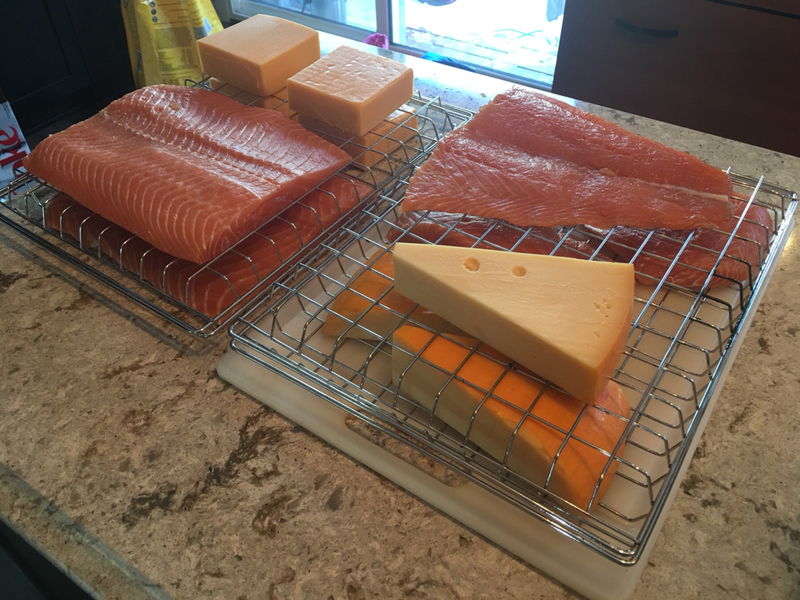 Fish and cheese looked good coming out and smelled amazing! Looks like you got some good smoke on them.